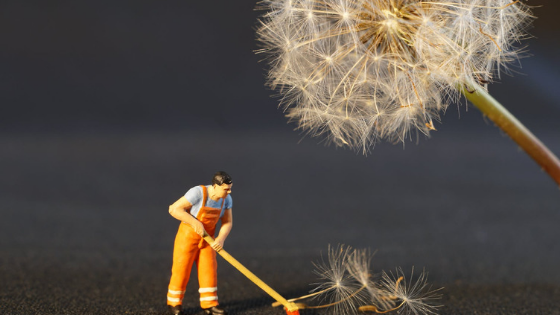 Spring is a time of fresh starts and new beginnings, and perhaps this is part of the reason why giving your home a deep clean is so common in the spring. Whatever the origins, spring cleaning plays an important role in helping people get their homes in perfect condition at least once a year. If you would like to really make your apartment shine this year, check out these three spring cleaning tips. Making a list of the tasks that you want to accomplish can help you better organize your approach to spring cleaning and ensure that you have all your bases covered. As an added bonus, checking an item off of a to-do list is a form of motivation in and of itself that can help keep your spirits a little higher when the work gets tiresome. As you go about cleaning your apartment, you should start out with the ceiling and work your way down. As you clean your walls and ceiling, you're going to be knocking dust and dirt down onto your floors. If you've already cleaned your floors, this is a problem. If you work your way from the top down, though, you can ensure that no dust and dirt is left behind. Spring cleaning is ultimately just as much about decluttering as it is actually cleaning. Now is the time to take a serious look at the items you're storing in your home and decide which ones are truly worth keeping. There's no doubt that it can be difficult throwing things away, but living in a home that is clean and clutter-free is very much a worthwhile tradeoff. With spring approaching, the time for cleaning your apartment is right around the corner. Of course, the only thing better than cleaning up your apartment is moving into a brand new one that is already sparkling clean. If you are looking for somewhere new to call home this spring, we hope that you will contact us today to learn more about our Chicago apartments.